One of the biggest storylines of the NBA season this year was the Los Angeles Lakers' reported willingness to move almost all of their young players in order to acquire New Orleans Pelicans star, Anthony Davis. The whole thing went down prior to the trade deadline when the Lakers were still in contention for the playoffs. After AD never came to the team, it was clear that there was a shift in chemistry and the Lakers suffered because of it. Today, The Athletic's Bill Oram wrote about the Lakers demise this season and made the claim that the reason why the team fell apart was indeed due to the Davis debacle. "It was apparent that the young players no longer trusted James, believing he was operating behind the scenes to get them traded to New Orleans," Oram wrote. 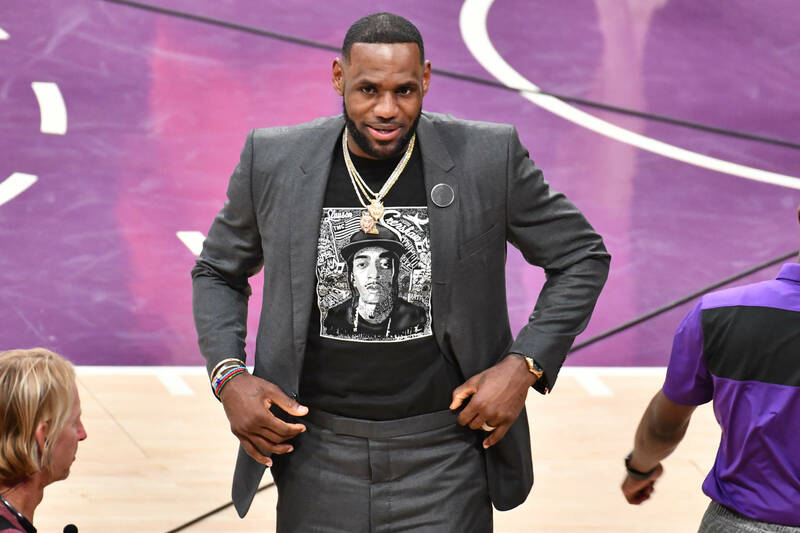 In the past, LeBron has been adamant that he is always trying to make the team better and that the young players can "handle" the rumors against them. Considering the team went into a downward spiral after the trade deadline, perhaps this wasn't the case. Now, the Lakers are out of the playoffs and have sat LeBron for the rest of the season so he doesn't reaggravate his groin injury.